Julia is proud of her Mi’kmaq heritage and strives to follow the Seven Sacred Teachings of love, wisdom, patience, truth, respect, humility and honesty in her day-to-day life and in her role as CEIR Coordinator. During her completion of a Bachelor of Art in Law: Policy & Government from Carleton University, Julia concentrated her research efforts on analyzing policy as it impacts the physical, emotional, mental, and spiritual well-being of First Peoples. Her honours papers, “A Shameful Display of Indifference: Canada’s Attitude Towards Addressing the Child Welfare Crisis” and “Pervasive and Prolonged Neglect: The Water Crisis’ Devastating Impact on Indigenous Communities” both aimed to raise consciousness about the systemic causes of these health issues. 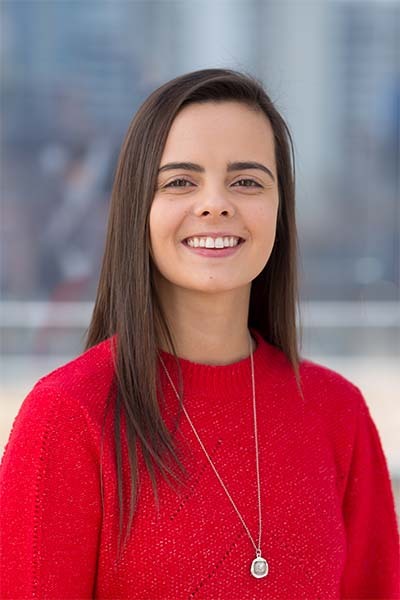 After graduating she became the Governmental & Policy Director at Growing North, where she connected with a number of federal and provincial actors to bring attention to the concerning prevalence of food insecurity, unemployment, and poor education outcomes in remote northern Indigenous communities. She has also worked closely with the Legacy of Hope Foundation to raise awareness about the legacies of the Residential School System. Primarily in this capacity she secured opportunities for programs that will offer wellness support for survivors. These experiences have allowed her to gain a better understanding of the inequities First Nations have endured and continue to face.